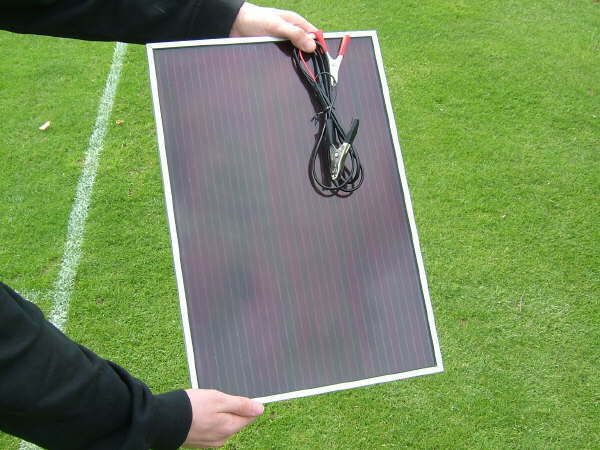 The Sunshine Solar panels are ideal for a huge range of applications. This is an ideal panel for general purpose applications where a small trickle of power is required. The most common applications for our 5W solar panel include maintaining 12 Volt batteries on cars, electric fences and bait boats. Pre-wired with 6ft of cables and connectors for easy set up. The Sunshine Solar panels are ideal for a huge range of applications. This is an ideal panel for general purpose applications where a small trickle of power is required. Keep 12 Volt batteries topped up on your car, electric fence, bait boat etc.